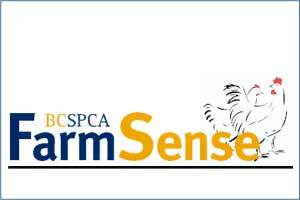 The BC SPCA publishes a bi-monthly newsletter, FarmSense, that focuses on news “about farm animal welfare issues, research results, and information on the BC SPCA’s activities that help farm animals in BC”. n Canada, more than 26 million hens are raised for egg production each year, and more than 90% of them spend their lives in small, barren battery cages. While these cages allow for efficient and hygienic egg production, there is strong scientific evidence proving they negatively affect bird welfare. As a result, legislation and consumer demand have prompted changes to the way egg-laying hens are raised. This leaves many people wondering what commercial egg production will look like in the future, particularly with the development of a new Canadian Code of Practice for egg-laying hens in the works. Can we implement systems that meet societal expectations to provide hens with a high level of welfare, and at the same time, maintain production efficiency? In May 2011, the Animal Welfare Foundation of Canada hosted four regional meetings focused on determining whether there is a future for laying hen battery cage housing in Canada. Other countries around the world have banned battery cage systems, and so the meeting discussions were intended to help gather opinions on whether the same should occur in Canada.